Ilana Travels: Will you Travel for Beer(s)? Will you Travel for Beer(s)? Growing up in a house where wine was the king of the table, beer was hardly of interest for my taste, until I made, at 18, a round-country trip to Bulgaria. It was summer and beer was within my budget, so allowed me to have more than one sour yellowish drink. I was not impressed, and I am still very selective when it comes to it, but as I live in a country whose brand is associated with beer, I am trying to be more tolerant towards it. Like trying to diversify my palate by tasting regional sortiments or some international strange combinations - chocolate beer, anyone? After all, even some doctors recommend it as a natural kidneys cleaning method, so I challenged myself to keep being curious. As a travel blogger with a passion for food and quality drinks, I couldn't resist staying out of the local trends. The best overview of the industry I got by visiting at the beginning of August the 21st International Beer Festival, in Berlin displaying around 2,400 beer specialities from all over the world. Three days are not enough to try only 10% of it, and I am generous with the percentage, but at least I updated the precarious knowledge about the drink which in Germany is regulated by a special 'beer purity law' (Reinheitsgebot). Nowadays, it seems to be no limit when it comes to beer tastes. This is one of the best things about festivals: they bring you a taste of far away lands and food innovations which can be reasons enough to visit a place. Otherwise, how would you know that Africa is a big beer producer, with a tasty variety of beers having as main ingredients mango, banana, ananas, pineapple, passion fruit or palm? Unless you know already that on Ku'damm 100, in Berlin, you can taste some of them at The House of 100 Beers. But you don't have to go to Africa to have some exotic beer tastes. It is enough to travel to Belgium, a country with a centuries-long tradition of producing the most interesting beers, started in the local abbeys and monasteries. The country has over 180 breweries and its beer was recently included on the UNESCO heritage list. I discovered their flavored beers during my trips to Belgium and I am always ready to have a glass of it at the end of a busy week. When I cannot find my favorite La Mort Subite, I can accept a cherry-flavored beer. As in the case of wine, the culture of beer brings on a large array of food habits. The usual food pairing, especially in Germany, involves a lot of meat, especially the beloved würst and burger, but it can also go well with salted nuts, cheese, chips or even some dried fruits. I personally love to have a glass of beer with a fish-based meal, preferably outdoors with a view over the sea - eventually in one of the Greek islands, why not? Compared to wine, beers are most likely to be drunk together, in a pub, with friends, in the evening watching together a soccer game. In order to answer specific travel needs, in many cities special tours were developed. In Berlin, for instance, you can book a tour where you can gather around a round barrel and bike around the city while sipping beers. Or you can have a complete beer and food tour, where your beer is paired with another German food icon: curry wurst. The beer fashion is taking over the entire Europe, becoming popular even in places not so famous until now for their beer production. In Budapest, for instance, it is possible to have a Craft Beer Tour&Pub Walk with AllNightCrash. 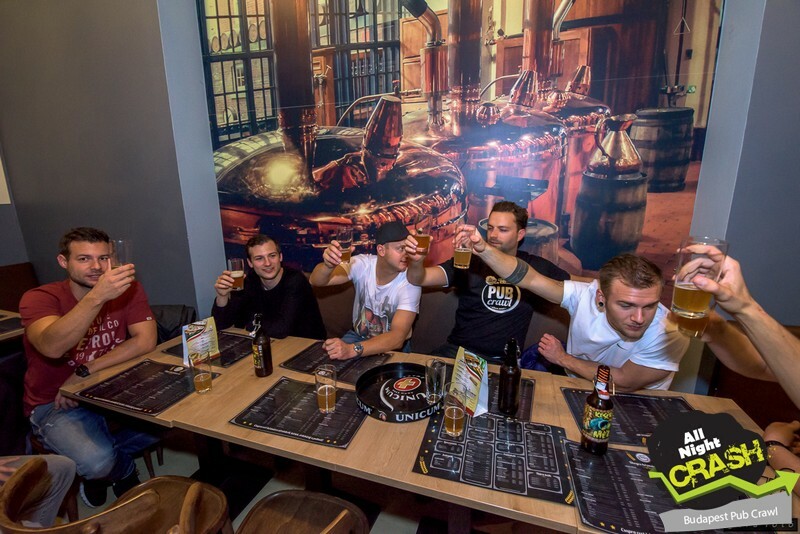 With a menu including the tasting of 10 Hungarian craft beers and a visit at three local micro brew pubs, the tour offers also the experience of the bubbling Budapest night life, a city struggling hard to be one of the top party capitals of the world. If you are looking for a serious reference for planning a travel adventure exploring the tastes and flavours of trappist beers, I strongly recommend to spend some time reading an excellent book: Trappist Beer Travels, by Caroline Wallace. What about you, would you travel for beer(s)?